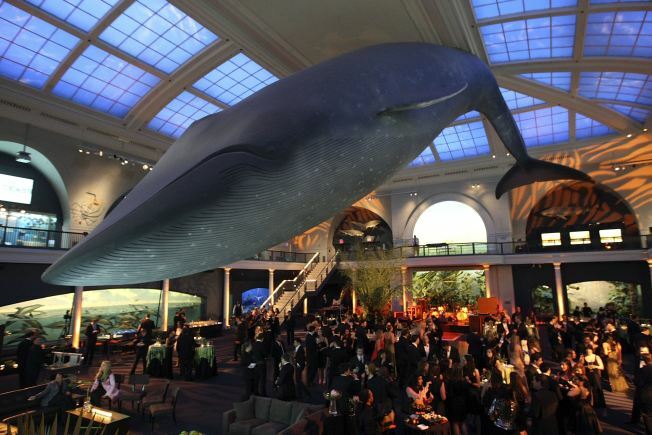 The blue whale is the centerpiece of the Milstein Hall of Ocean Life, seen here during the American Museum of Natural History's Winter Dance sponsored by Roberto Cavalli in March 2008. Night at the Museum II: Battle of the Smithsonian hits theaters May 22. But for a real-life night at the museum, head to the American Museum of Natural History for a sleepover. Kids will get to explore the museum at night by flashlight, take in an IMAX movie, and sleep under the Big Blue Whale. The night at the museum sleepovers are open to children ages 8 through 12 (plus their chaperones.) The price is $129 per person. The Bronx Zoo also hosts overnight safaris.